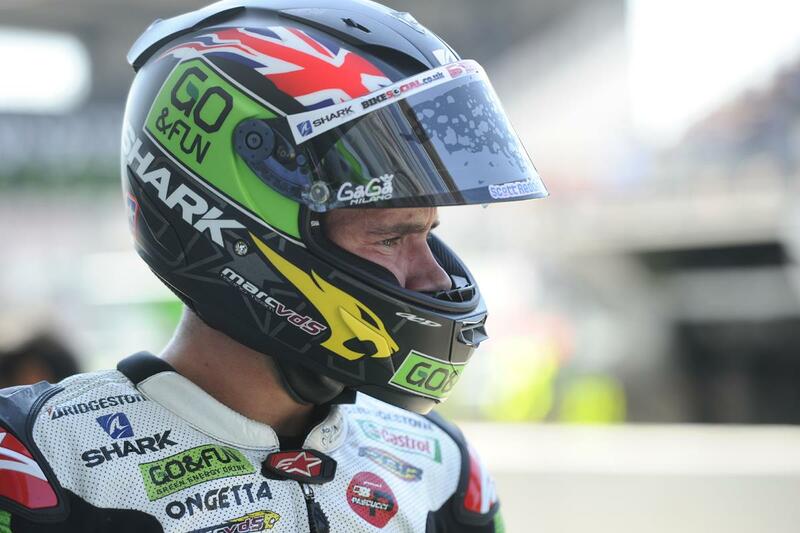 Scott Redding has withdrawn from a scheduled appearance in the Isle of Man TT parade lap later this week. The 2013 Moto2 world championship runner-up was due to ride the famous Mountain course with British MotoGP rivals Cal Crutchlow, Bradley Smith and Michael Laverty on Friday. But the deaths earlier this week of Bob Price and Karl Harris has seen Redding, who currently races for the Gresini Honda squad in MotoGP, announce earlier he will no longer be making the trip to the Isle of Man. Price, who lost his life in the Supersport 1 race on Monday, was a close family friend of Redding, who had helped the Gloucestershire rider in the early part of his own racing career. Following the death of Harris in yesterday’s Superstock race, Redding was vilified for making comments on his Twitter account about the TT. And he has just released a statement that read: “I was shocked when I heard the news that Bob had been killed at the TT. He was a close family friend and one of the few people outside of my immediate family who supported me when I started out racing. "I will miss him, as will many others in our racing family. Bob died doing something that he loved. I know we hear this all the time when tragedy strikes, but in Bob’s case it was definitely true. "He was no spring chicken, but a seasoned roads campaigner who knew the risks, like all the riders do, but it’s what he wanted to do. I respect that, as I respect everyone who takes on the challenge of the TT, but it doesn’t make his passing any easier to deal with. "Then yesterday, we heard the tragic news that Karl Harris had also lost his life. Karl and Bob are both guys that I know and their deaths have hit me harder than I expected.